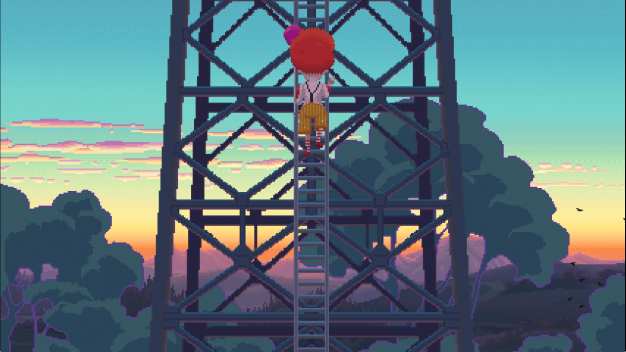 It’s been one year since Thimbleweed Park first shuffled its way onto our consoles (and, in the case of the critics and fans, into our hearts). To commemorate the digital launch of the pixelated thriller, developer Limited Run Games has announced that their 2D adventure will be receiving a long-awaited physical release on both PS4 and Nintendo Switch. Both consoles will be touting two versions of the physical release, up for grabs in limited quantities from March 30th. The standard version will be game-only, priced at $34.99; for $30 more, you can pick up the collector’s edition, featuring exclusive art, posters, post-it notes, and an old-school ‘big box’ case. But wait, I hear you cry. What’s this game all about? Let me explain. 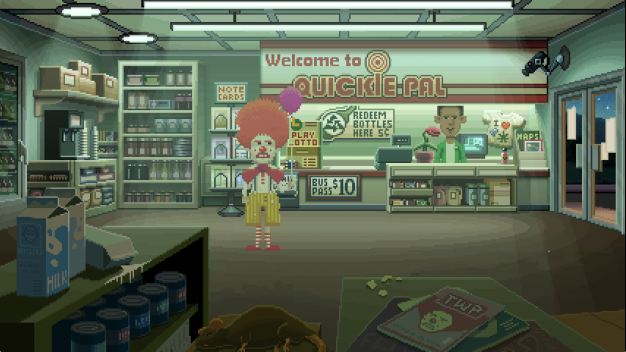 In classic, side-scrolling fashion, Thimbleweed Park is a game for those who enjoy a jolly good story, paired with a healthy dose of surreal humor. A backwater town, a creepy clown, and a dead body in the river – it’s not Stephen King, but boy, it should be. Shall we peruse the trailer? 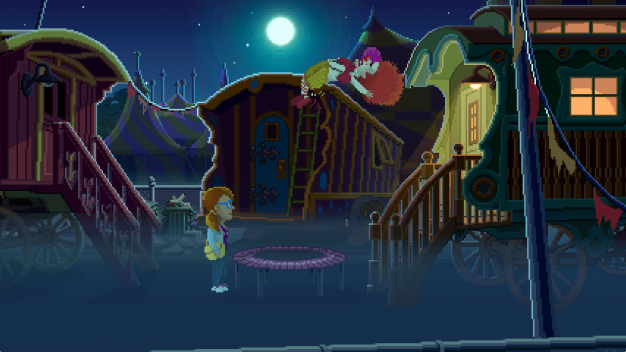 The plot revolves around 5 unrelated individuals as they navigate the sleepy streets of Thimbleweed Park, each struggling with their own personal dilemmas. Their stories are linked, and they’re under observation; you’ll spend your time off the beaten track in the thick of the action, solving puzzles and wondering why no-one is interested in that dead body. 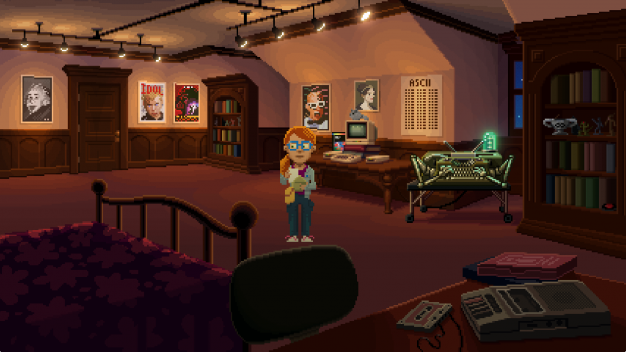 I find myself saying this a lot these days, but indie titles like Thimbleweed Park – particularly Thimbleweed Park, given the success it saw last year – are perfectly made for the Switch. If you’re interested, though, be warned: there are only 3,000 copies of the collector’s edition up for grabs on Nintendo’s latest console, and a measly 2,500 on the PS4. Thimbleweed Park will be launching as a physical release on PlayStation 4 and Nintendo Switch on March 30th, for $34.99/$64,99 depending on the version you choose.